After the final two years of the Will Muschamp era in Gainesville had produced mediocre results (4-8 in 2013, 7-5 in 2014), expectations were relatively tampered when former Alabama offensive coordinator and Colorado State head coach Jim McElwain arrived on campus. However, the Gators got off to a quick 6-0 start, which included big victories against Tennessee and Ole Miss. The big difference was the quarterback position, where redshirt freshman Will Grier was putting on a show. Things unraveled quickly, as Grier was suspended for rest of the year for a failed drug test, and Treon Harris struggled in his place. Overall, the Gators ended up 10-4, a good debut for McElwain, but things were overshadowed by bad losses to Florida State, Alabama in the SEC Championship Game and Michigan in their bowl game. With plenty of talent on both sides of the ball, Florida has a chance to improve on last year’s progress, if they can find a quarterback to lead them. Backfield: Grier was superb taking over the reins of the offense last season and made Gators fans quickly forget about the frustration of the Jeff Driskel era. His suspension deflated Florida, and Treon Harris was brutal taking over. Unfortunately, Grier decided to ditch to West Virginia, instead of sitting out a year due to NCAA rules. Harris might have a chance at the job, but he decided to move to wide receiver, where he will bring playmaking ability. That leaves McElwain without a clear frontrunner for the QB job. Senior Austin Appleby is a Purdue transfer that at least has some experience and fits the system, but is far from a great quarterback at this stage in his career. Sophomore Luke Del Rio, the son of Oakland Raiders’ head coach Jack, will also be in the mix. Del Rio was originally at Alabama before transferring to Oregon State. After he was unable to get the job there, he decided to head south once more to end up with the Gators. Del Rio has plenty of talent and McElwain raved about him during spring practice but it is pretty disheartening that the Gators are likely going to be leaning on a guy at quarterback who was unable to earn the starting gig in two previous stops. While nobody has been formally announced as starter, one has to assume Del Rio has the upper hand as of right now. Florida will also be searching for a new feature back, as Fred Taylor’s son, Kelvin, moved on to the NFL. Sophomore Jordan Scarlett is the leading returning rusher, with 181 yards a year ago. He will be joined by junior college transfer Mark Thompson, a bruising runner, and another sophomore, Jordan Cronkrite. Scarlett and Cronkrite have plenty of potential as speedsters that can open the games. Taylor was good, but he never was quite able to have a breakthrough for Florida, so his absence isn’t absolutely heartbreaking. The Gators could also test out Treon Harris in some packages as a runner, considering he ran for 258 yards in 2015-2016. Receivers: While the Gators have serious questions in the backfield at two very important positions, the coaching staff can rest easy knowing that the receiver corps will be a strength. Following a terrific debut, big things are expected of sophomore Antonio Callaway. Callaway recorded 35 receptions for 678 yards and four scores and displayed amazing explosiveness throughout. Callaway is undersized, but makes up for it with speed and raw agility, and defenders struggle to contain him. He should take bigger steps now that he is a sophomore, and he is also a major threat on special teams. Beyond Callway is another speedster, in junior Brandon Powell. Powell had 29 catches, 390 and three scores himself a year ago but he doesn't possess the big-play ability of Callaway. Powell will play a slot role, where he uses his 5'9" frame to sneak into small lanes and move the chains. Seniors Ahmad Fulwood and Chris Thompson are both going to have good seasons, after showing flashes in 2015. Fulwood merely had six catches, while Thompson had five, but both have looked new and improved during the spring. Fulwood will play an especially important role, considering he will utilize his size to get jump balls and make plays in the red zone. Considering the Gators don't have a reliable quarterback at the moment, having a physical receiver that can go up and make plays will be very helpful. Junior college transfer Dre Massey is ready to come in and make an impact right away. 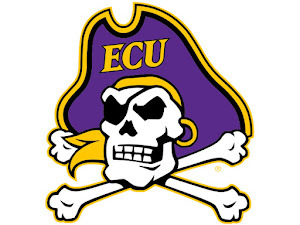 He hails from Holmes Community College in Meridian, Mississippi and was originally a commit to East Carolina in the Class of 2014. Massey will be joined by a talented group of newcomers, as McElwain did great work on the recruiting trail to land a good crop of wide outs. Four-star Tyrie Cleveland was brought in from Texas and brings superb athleticism, while local product Freddie Swain could also fight for snaps. Tight end will be an interesting position to watch on into fall camp, as the Gators said goodbye to Jake McGee, as he exhausted his eligibility. A former Virginia Cavalier, McGee arrived and made a solid impact in Gainesville, being a consistent offensive weapon, with 41 receptions. The favorite to take over the role is junior DeAndre Goolsby, a powerful veteran who has continued to improve in his time with Florida. Sophomore C'yontai Lewis will also bring decent production after showing promise a season ago. Offensive Line: The Gators recruit very well, and for a long time that has included their offensive line, which has always had good size and talent. It should be sturdy once more this season, with a good crop of pieces back and others ready to improve. The left side of the offensive line is led by junior David Sharpe and sophomore Martez Ivey. Sharpe is set to handle left tackle duties, obviously playing an important role. If he struggles, any hope of a Florida quarterback having much success pretty much goes out the window. Ivey meanwhile, was a five-star commit to the Gators last season, but didn't see too much action his first year on campus. He has the versatility to contribute at any number of positions throughout the offensive line, but Florida needs him most at left guard. With his blend of size (6'5", 300-plus pounds) and power, he could very well be playing on Sundays in the near future. A group of sophomores are set to handle duties on the right side of the unit, with Fred Johnson likely locked in at tackle, and some competition ensuing at guard. Sophomore Tyler Jordan is the favorite, but there is enough talent in the group that a number of other players could get snaps. At center, expect junior Cam Dilliard to put together a big season as he makes his return, following a strong year in 2015. Junior Antonio Riles brings important depth to the equation, as the veteran could fight for snaps at either guard spot this season. Overall, the unit is very young, with possibly as much as four sophomores locking down starting gigs. Even so, it is a unit with supreme talent and enough experience to be very good. 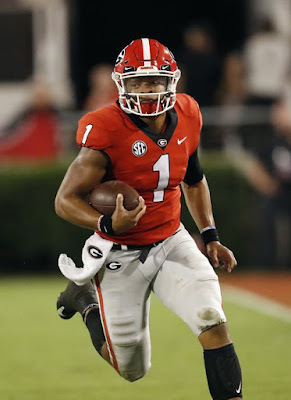 And they will need to be, considering the talented pass rushers they will have to square off against in the SEC East and against arch-rival Florida State. Defensive Line: Defense will once again carry the Gators this season, and the tone for the whole defense is typically set on the defensive line, where UF has a number of breakout candidates. Perhaps the most notable is sophomore Cece Jefferson, who is just scratching the surface of what he can be, after picking up 3.5 sacks last year. Jefferson has good size and is strong enough, but is especially dangerous because of his polished finesse moves and incredible athleticism. His added bulk make sure that he is too large for smaller, quicker linemen, but too quick for larger blockers. He may end up seeing a lot of double teams if he takes the necessary steps, which will help other members of the defensive line. That includes fellow defensive end Bryan Cox, a senior who also recorded 3.5 sacks a year ago. Cox isn't the natural talent that Jefferson may be but he brings valuable experience to the table and defensive coordinator Geoff Collins will expect him to help out the younger guys. While Cox and Jefferson are disrupting plays and getting after the quarterback on the perimeter, the Gators should be stout up the middle, with some significant experience returning. Senior defensive tackle Joey Ivie showed that he could be a pest in the interior, with 3.5 sacks last season. He is a little bit undersized by typical SEC tackle standards but he makes up for it with tenacity and agility. Joining him at tackle will be junior Caleb Brantley, who was also productive a year ago. Brantley was a major help in run support, with 28 tackles, seven of them going for a loss in 2015. He has a nose for the football and excels at using his wide frame to plug up gaps in the heart of the defense. An abundance of depth also returns to the D-Line, headed by junior end Jordan Sherit and sophomore Khairi Clark. Sherit is an aggressive end who put on weight over the offseason and continues to grow stronger, while Clark has been a great practice player and will be eager to show what he can do against actual SEC competition. McElwain and the staff also got a huge pickup on the recruiting trail when they landed four-star defensive end Antonneous Clayton, who could very well be the gem of the recruiting class. Clayton was a big get not only because he is established beast at defensive end, but also because McElwain marched north to Georgia to snag him from a number of other SEC programs. Fellow defensive ends Jordan Smith and Jachai Polite are both three-star prospects who probably won't see action this season but have bright futures in Gainesville. Linebackers: He was a major headache at times, but there is no denying the Gators will miss inside linebacker Antonio Morrison. Morrison was once suspended for barking at a police dog during an investigation (yes really), and more seriously for punching a bouncer at a local bar prior. His off-the-field discretion were certainly frustrating, but the Gators certainly didn't mind on-the-field performance. 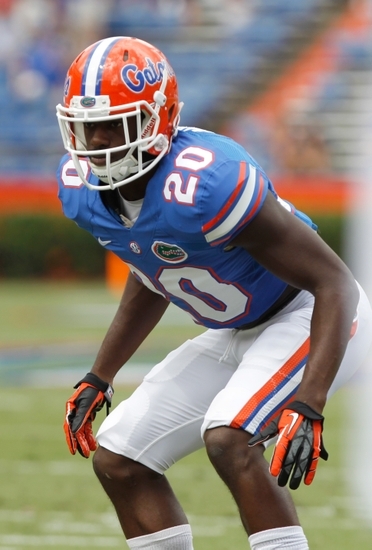 He led UF in tackles last season, with 96 in total, while also racking up 11 tackles for loss. While Morrison moves on, the Gators' linebacker corps should still be very good, thanks in large part to the return of senior Jarrad Davis. Davis quietly put on a show at the outside linebacker spot a year ago, with 94 tackles and 11 tackles for loss as well. Davis isn't an elite pass rusher, although his 3.5 sacks did help. He is more effective as a playmaker off the edge where he can roam the field and make plays. NFL scouts love the veteran; he has gotten enough attention to likely sneak into the first round if he follows up last year's performance. While his play will help, senior Alex Anzalone is under pressure to take over the middle linebacker position from Morrison. Anzalone is yet another Florida recruit who is still trying to live up to the high praise he received coming out of high school, although Anzalone really hasn't gotten the chances others have. He is a good overall linebacker with effective instincts and adept size. Yet, can he go from a guy who managed just six tackles to a run-stopper that may need around 100 tackles to keep the Gators' rush defense strong again? That is sure to be an interesting development to watch as the season nears. The last linebacker spot on the roster is likely going to be left to senior Daniel McMillian, although he will pushed by junior Matt Rolin. McMillian isn't technically a returning starter, but he does have plenty of experience, and did have 22 tackles last season. The unit has decent depth, but it wouldn't be too surprising to see a couple young guys get opportunities. Three-star recruit Jeremiah Moon arrives from Alabama as a rather unheralded guy but he maintains good size, standing at 6'4", with good strength. Secondary: Few defenders in the entire nation were as productive and dominant as Vervon Hargreaves III was the past three years for Florida. Hargreaves was not a one-star diamond in the rough recruit, but it was still amazing how quickly he was able to come in and make an impact with the Gators. He was an All-American his first couple years with the Gators, but had some inconsistent play last season. Unfortunately, his absence will be paired with the loss of underrated safety Keanu Neal, an explosive hitter, who joined Hargreaves as a highly-drafted NFL defensive back. Even with two terrific defenders gone, Collins, McElwain and much of the Florida faithful still feel very confident about their backend, primarily because of one guy: cornerback Jalen Tabor. 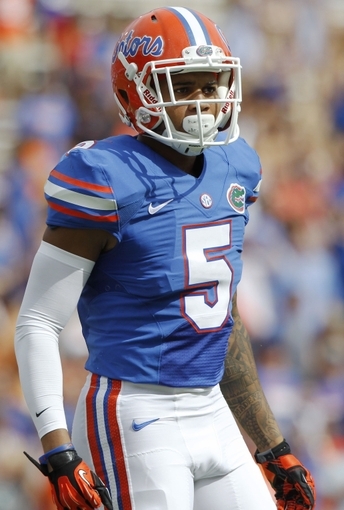 To many NFL scouts and college football fanatics, Tabor was considered the better overall player than Hargreaves, and he showed just how dominant he could be throughout 2015. Tabor had 40 tackles, four interceptions and used his length to bat down everything in his sight, with 14 pass deflections (Hargreaves had just four). The former five-star recruit out of Washington D.C. was originally committed to Arizona before ending up with the Gators, and he has not disappointed one bit. He continues to work on his coverage and ball skills and there isn't any reason why he can't be the nation's top corner this year and become a very high pick in the 2017 NFL Draft. Beyond Tabor, there is talent, but just not as proven. Senior safety Marcus Maye is a quality football player. He often gets lost beyond the noise and hype of Hargreaves and Tabor but he had 77 tackles and two interceptions last year while also forcing four fumbles. If he can once more force opponents to turn the ball over, the Gators will be in prime position. Juniors Duke Dawson and Nick Washington are slated to be in a tight competition for the other safety slot, with Washington likely in the lead. Both are good, strong-willed safeties who will be assets in coverage. Considering Tabor will shut down one side of the defense, it will be very likely opponents will try to pick one whichever cornerback starts opposite him. Junior Quincy Wilson is the favorite, and he will not be overwhelmed. Much like Tabor, Wilson has good size and length and is a strength in man coverage. Expect four-star pickup Chauncey Gardner to also see some snaps, as the Gators are not very deep at corner. Special Teams: Gators fans will be eager to see a new kicker, likely sophomore Eddy Pineiro, after their kicking troubles last season. Florida kickers were a combined 7 of 17 on field goals, and just 36 of 41 on extra points, pretty rough for an offense that wasn't exactly potent. Pineiro has a huge leg but is yet to kick in an actual game. At returner, Florida is set, with Callaway likely handing much of the duties. Entering Year Two of the Jim McElwain rebuild, Florida faces many important questions. Can Del Rio really be the quarterback to lead this team? Who replaces Taylor at running back? Is Pineiro really an improvement in the kicking game? Those questions will need to be answered for Florida to contend for an SEC crown, but McElwain still has enough pieces to field a dangerous team no matter what. As usual, defense will lead the charge in Gainesville, and Tabor and Davis have enough to make this team stout. The schedule isn't overly difficult, as Florida faces just UMass, North Texas and Presbyterian non-conference before their annual date with FSU. Their September 24th trip to Tennessee will be the perfect measuring stick for the Gators. They have now won 11 straight against the Vols, but Tennessee is widely viewed as the SEC East favorite this year. A win, and Florida becomes a possible Playoff contender. A loss, and the Gators threaten to slip towards a very mediocre season.